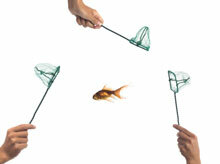 Lead Generation Opportunities Slipping Through The Net? Take Advantage of a Readymade Outsourced Sales Team. We Work on a Cost and Reward Basis. Salesfuel hunt out business opportunities for you. We identify and speak to decision makers on your behalf using experienced B2B sales staff, then manage and nurture your sales pipeline for you. The result is a consistent flow of new sales leads. We provide the sales fuel to grow, providing more sales opportunities and leads, better sales productivity and the ability to reduce your costs. Building a healthy pipeline needs resources, experience and the discipline to make calls, track progress and make sure potential leads are followed up properly. Salesfuel provide a comprehensive Sales Outsourcing Service to build YOUR sales pipeline from first contact and Sales Lead generation, through to post sales support and Field Sales especially for companies with complex, high-value or technical sales propositions. Business Start-up and Tactical - to help you break into new markets possibly on a tight budget or running targeted sales campaigns. Sales Partnership - to build and manage a sales pipeline as an integrated part of your sales operation. Salesfuel outsourced sales integrates 3 key functions of B2B sales prospecting to manage the customer's buying cycle from first contact to lead generation. Provide you with a consistent flow of qualified new sales leads. Build a sustainable pipeline to grow a database of prospects, identify sales opportunities, generate leads today and in the future. Reduce your costs and maximise the use and performance of your CRM system or let us manage it for you. We will beat your current performance. Have complex and/or high value products and services. Want to increase the number and quality of leads. Want to build a sustainable sales pipeline. Need in-house teams to focus on closing. Want to break into the UK/EU market.